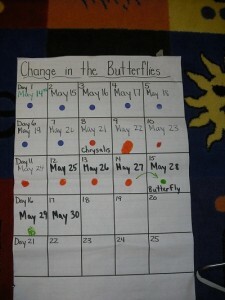 Our Inquiry on Growth and Change integrated the discovery of Butterflies. 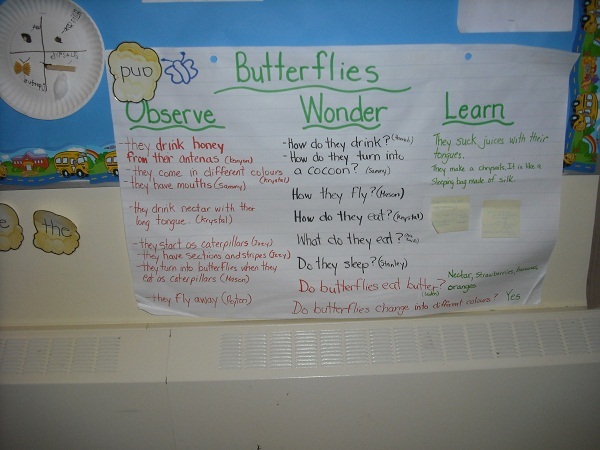 We created OWL (KLW) chart to see what the children already knew and had previously observed about butterflies. We started asking questions about butterflies and observed the caterpillars in their jars and later they began forming their chrysalises. It was a great time to review questioning and how to formulate one. 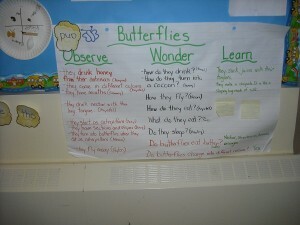 Once we discussed and read about butterflies the children began to develop deeper questions. For example; I wonder if butterflies can fly? to questions like… I wonder how they know when their enemies are coming? We also reviewed diagrams and how to label parts. 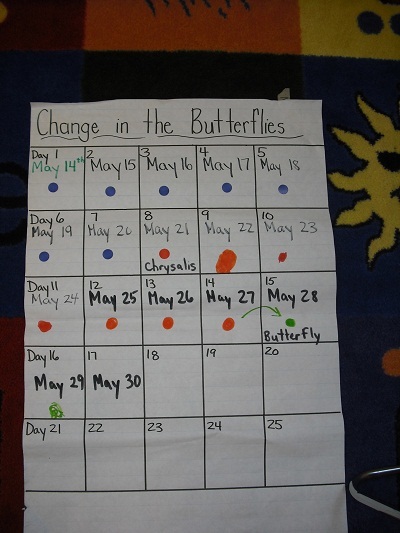 We created a chart to record how long it takes (passage of time) for the butterflies to change; from caterpillar to chrysalis, and chrysalis to butterfly. Some did not change all at the same time, and we compared our observations of change to what had been noted in videos and readings. 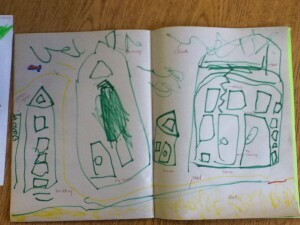 Students documented their observations in their journals. 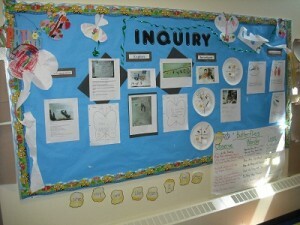 We created an “I wonder” binder for the centre where children freely recorded their questions. The children, along side the educators researched our questions through books, internet, and through short YouTube videos. 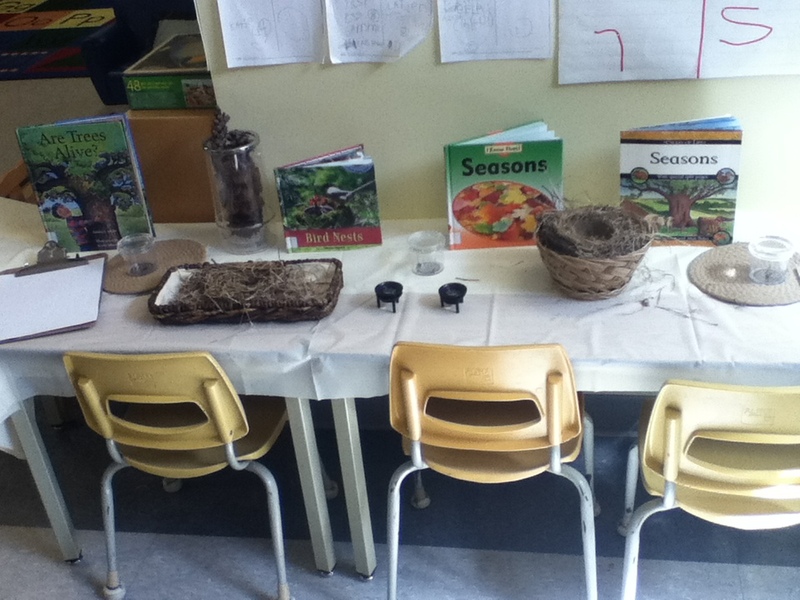 At the craft centre, children had the option to show their learning through recreating the life cycle with natural materials found outside to represent the different stages–real leaves, sticks, tree seeds for caterpillar bodies! 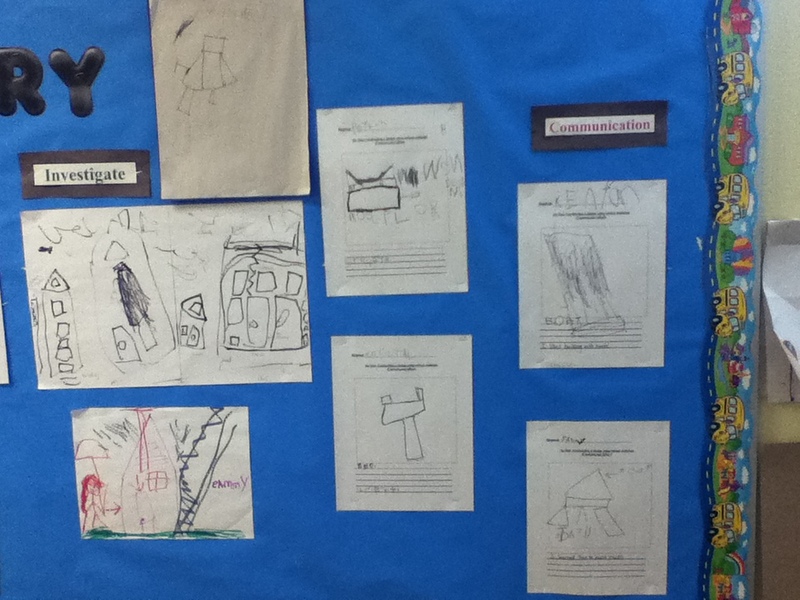 In the end, the children communicated to us their new learning through a written response and oral discussion. We released the butterflies at the 3 week period and we read an aboriginal legend about whispering a wish when you release the butterfly. • Three-column chart (Got It! Getting There! Needs Help) to quickly capture student understanding and next steps for instruction. I keep something similar to this on hand at all times in a folder. I use the headings Not Evident, Some Evidence, Evident. Or Needs Improvement, Satisfactory, and Good. I also keep a column for comments/next steps and a place on the bottom to write notes. • Laminated folder with post-it notes to monitor ongoing student progress and development of a skill, strategy and/or technique (i.e., I, L, ?). • Anecdotal notes, one-on-one conferencing and written observations of student understanding in a variety of settings (whole, small-group, partner activities). 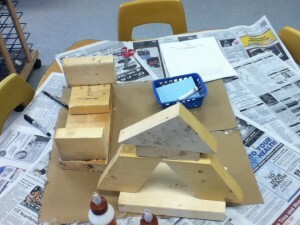 I created a table with large blocks and placed each child’s name in one. This way I can keep track of who I have written notes for and have the subject indicated on the top. I also keep extra paper on hand if I see/hear a special oral conversation that needs to be noted. 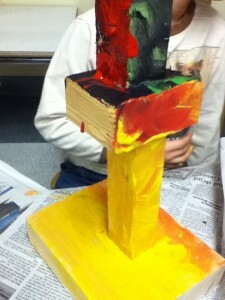 I have found a great book called: Beautiful Stuff Learning with found materials. It is a great resource to get a collection of found materials started in your classroom and a great springboard to spark an inquiry or 2. My finding came at a great time! We have been working on the reading strategy, making connections and many of my students could not remember a birthday or have never experienced one so my ECE partner and I decided to create one. The students have been listening to Junie B. Jone stories all year so we wanted to have a birthday for our character. We planned and touched on all aspect of a birthday. The resource, Beautiful Stuff, became the ”gift” the children would bring to the party. The book begins discussing what recycled materials would be useful to collect from children’s homes. Things like; paper, old jewellery, buttons, ribbons etc. They bring them to school in a bag for exploring in small or large group. The book explores the materials and shares the dialogue between teacher and students, tells about the sorting processing, and gives some great prompts to move the thinking and investigating along. 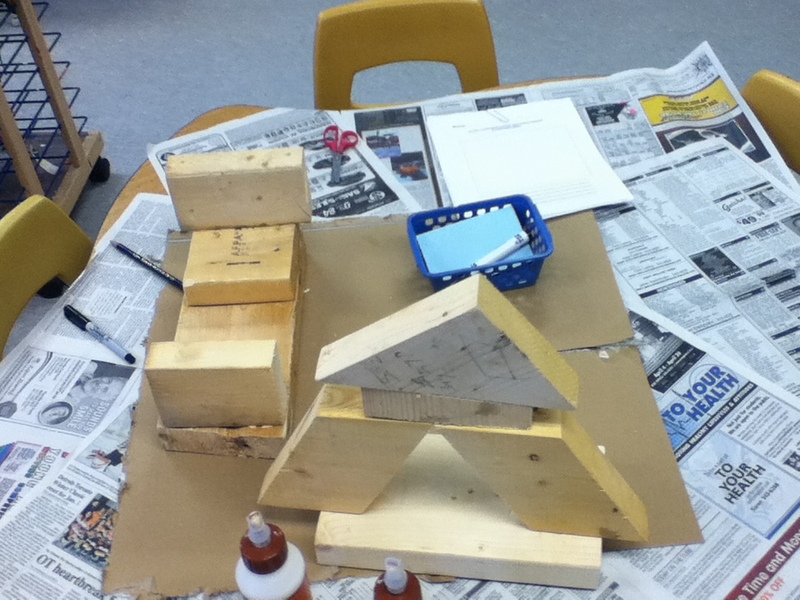 Other chapters discuss building with wood pieces, collaging, and various other ideas that could extend what you can do with all the found materials. Our Beautiful Stuff has lead us into a Building Inquiry, an Art Inquiry, we have used the items to extend into our Math Focus and Fine Motor for sorting. 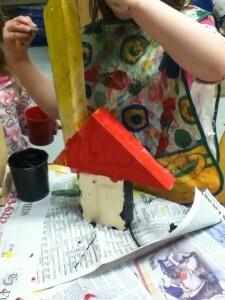 As well, building on oral language. The found materials have now become my art centre. 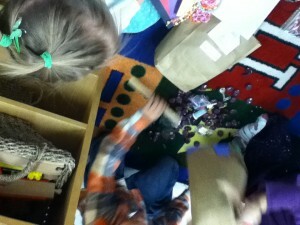 The children initially sorted all the materials into baskets, trays etc. Each day they can access the materials to create. 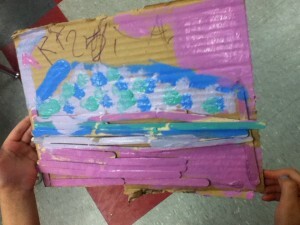 I may add new items, give a lesson about something new they can do with the materials, I added more popsicle sticks and large cardboard on day, another day I added the paint. They tied it into our building inquiry. 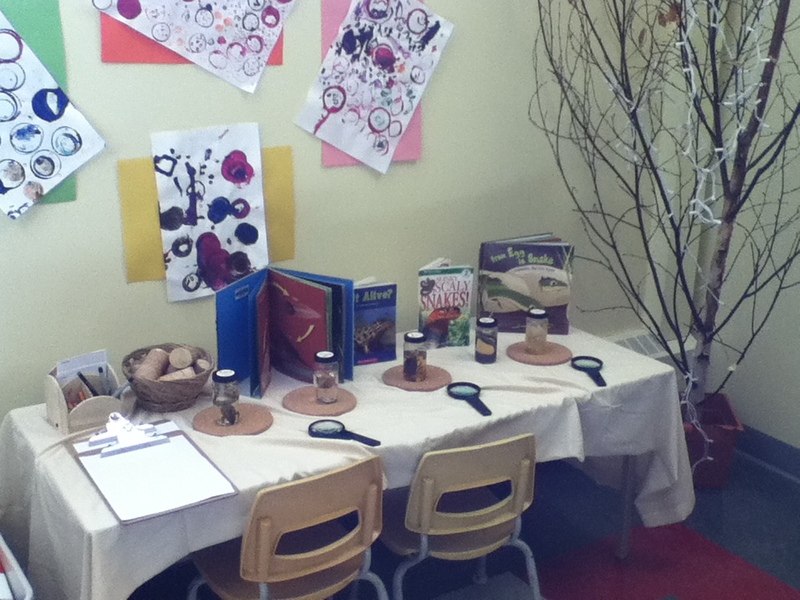 Below are a few pictures of the children first exploring, then creating with the materials. These children are showing what they have collected for the first time in small groups. 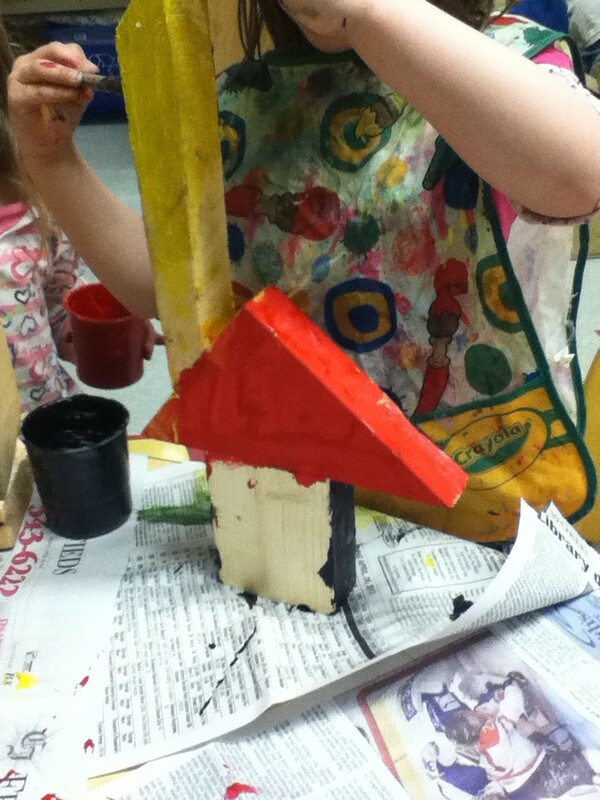 This child created a house using the real wood pieces. 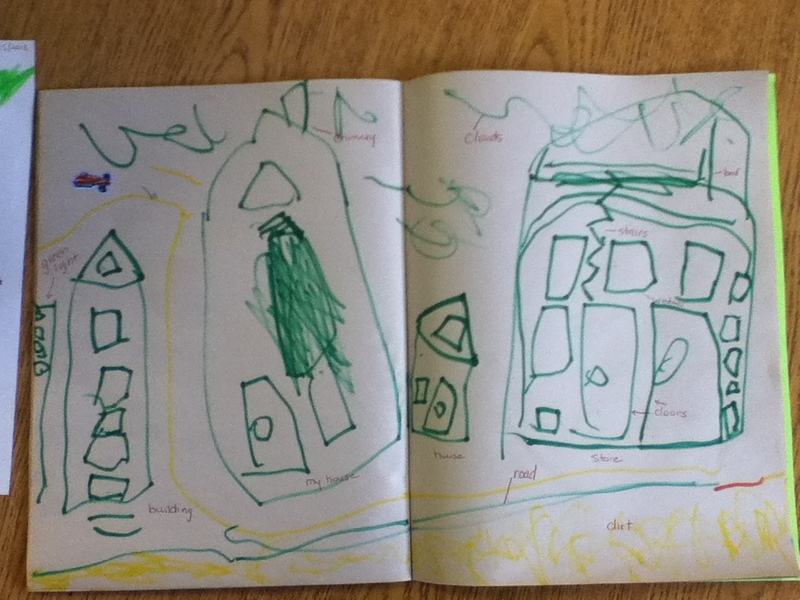 He is also drawing out the structure like an Architect. With adult assistance children are trying out real tools. Below the children have creating pictures with the materials. 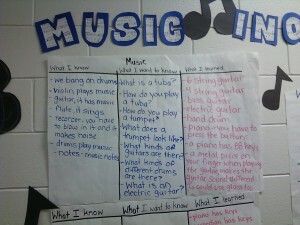 In this JK/SK classroom the children are interested in music. 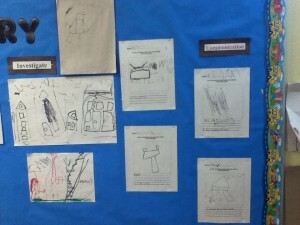 As the Teacher and ECE partner worked in various ways with students around the classroom, this became a more apparent topic worthy of more study. They both worked together collaborating on how to bring this study to fruition for the students. In this display, children worked in large group creating a KWL chart, identified some new vocabulary, and had guest speakers come in to show their talents! 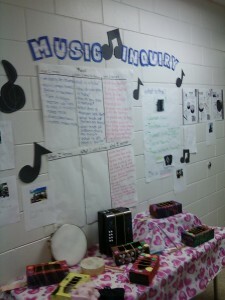 Each student create an instrument that they were interested in and they are displayed for all to see on the table. 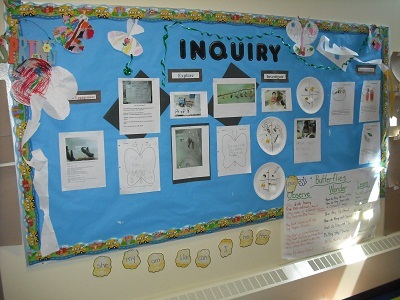 The final piece is where each student communicated what new information they learned through the inquiry and how they changed as a researcher. This information will be inserted into their documentation binders.